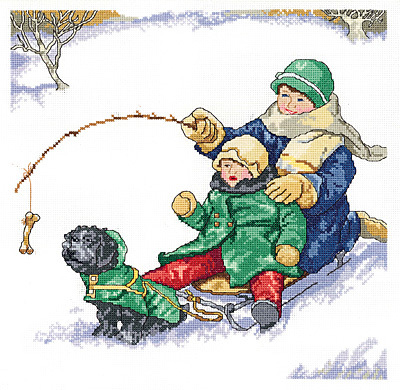 Winter Fun is a delightful counted cross stitch design by Tina Higgins. Mother and child on thier sled awaiting for the family dog to pull them while being enticed with a bone. Kit contains 14-count Aida fabric, 6 strand 100% cotton floss, needle, graph, instructions.